My father was the exam supervisor at a School in Hegodu, a small village 6kms near Sagara town. When he described the village and the people there, I wanted to visit the place. 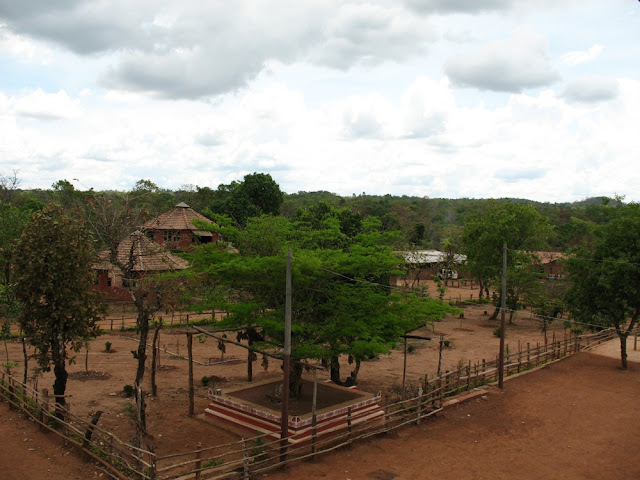 One weekend I traveled to Hegodu with my parents. We reached Udupi at around 8:00 Am and from here boarded a bus to Sagara. The bus journey itself was exciting as it made its way from flat fields of Dakshina Kannada to hills of Sagara Taluk. We reached Hegodu at 12:00AM. The bus stopped in front of the School – Hongirana. As I entered the campus, I felt a peaceful studious environment. Octagonal shaped classrooms, building on one side, in midst the greenery. I was introduced to Mr. Ravi who is one of the founders of school. Ravi took me around the school and explained to me its origin. Through his words I realized that I was speaking to a dreamer, an achiever. Ravi and his wife worked in a reputed school at Shivamoga. But in the present education system, what he disliked was the pressure on kids, the monotonous lifestyle with concentration only on studies. He wanted to give the kids an environment that does not just educate them with the basic knowledge but also develop them as a human being. Ravi and his wife resigned from their job that earned them a hefty salary, to which none of their friends or relatives applauded. They had to go through a tough time with sanctions, paperwork and establishment of the school. Hongirana has now, after 6 years, turned out to be a reputed residential school. Very poor children are educated free. Since this is a NGO, one can even sponsor for a student’s education. Village kids need to grow in an environment that they can relate to and this is why, they are taught Yoga, Bagvat geeta and also all forms of slowly vanishing art forms – Chukke chitra (Dot painting) and Yakshagana. After that meaningful talk with Ravi, we had lunch along with the kids. Ravi and his family live here, in a small house by the school, away from their ancestral home. After lunch, we started on a tour around Sagara. Rajendra, our cab driver is no less than a guide. He speaks a lot. He took us to Ganapathi and Marikamba temple in Sagara town. From here we drove to Keladi, 6 kms from sagara. 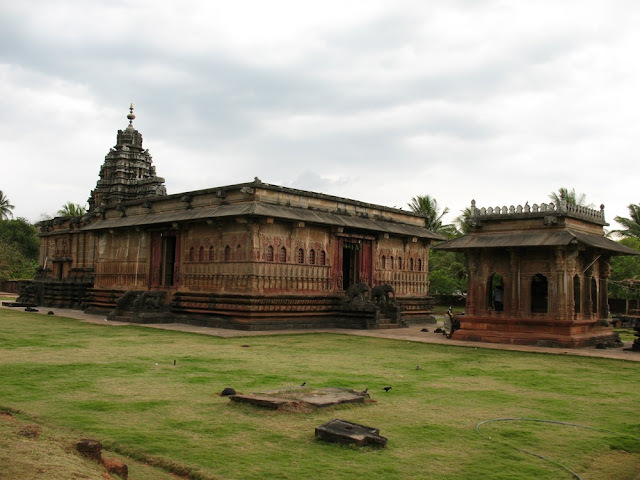 Here is a temple built by the Nayaks. Three main shrines comprise of Shiva, Parvathi and Veerabdhra. The first two are worshipped by Brahmins and the last by Lingayats. The union of the three under same roof was something worth noticing. While the shrine of Parvathi is wood carved, the other two are stone carved. A villager here explained to us, the history. Two Nayaks were in charge of this land under Vijayanagar Empire, later they became the kings and built these temples about 500 years from now. On the stone carving one can see a figure of Vastu and even Shivaji. It seems Shivaji’s sons were given shelter at this temple, when the muslim rulers came hunting for them. 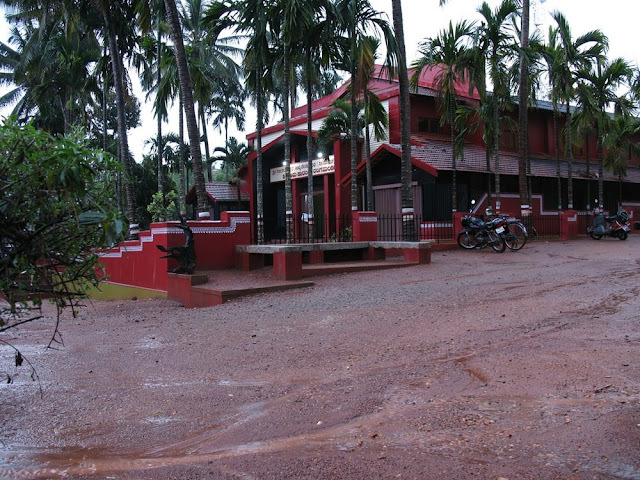 Vardahalli is a small village famous for Sridhar matt. Sri Sridhar swami came here from the Maharashtra border for tapas. Soon he had followers. To escape visitors he changed his location in different caves on the hill behind the matt, but followers always came looking for him. We climbed up the hill from where the view of Linganmakki dam backwaters is a treat. The matt looked peaceful. A small Durgambha temple at the base was established by Sridhar swami. From here we stopped at Vardamooola , where Varda river originates. Our next stop was Ikkeri. 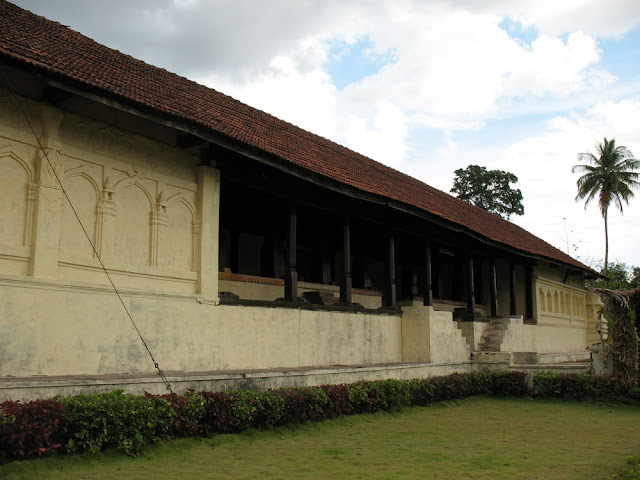 A magnificent temple built again by the Nayaks of Keladi dynasty. 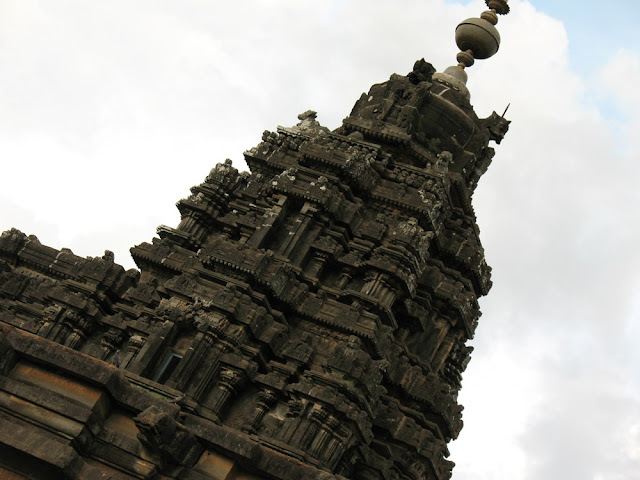 Architecture of the temple is simply amazing; however the idol of Shiva was demolished by Muslim invaders. The rock cut Nandi idol in front of the temple, people say is still growing. Our next stop was Ninasam, a drama institute set up by the famous KV Subbana. A student took us on a tour. He explained to us that this was the biggest theater in Karnataka. We were taken to makeup rooms, storerooms were clothes and other needful items for drama are stored. 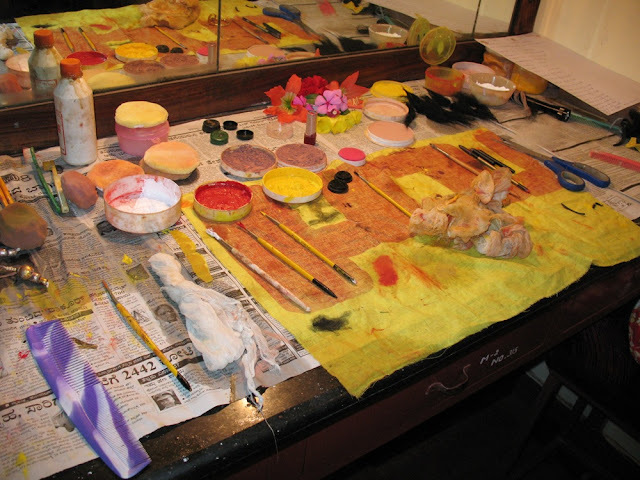 All the materials are self made at the institute itself, they are not bought. We walked to the light room, from where the display of light changes with the mood of artists. A group of students were rehearsing a play. After a small talk with the student, we set back to Hongirana. We then drove to Ravi’s ancestral home were something unexpected was waiting for me. I did not know then that I would be living one of the most emotional days of my life in coming few hours. This is an interesting and nostalgic read for me - reminds me of the town I was born in, which is not too far. I can see the graceful areca nut and coconut trees in the last picture. And Sagar - wow! It's the place where the awesome Jog Falls is!! These are the kind of trips I enjoy going and the people I like to meet...next time I will get the details from you before I go to that part of Karnataka again ..
wow, it must have been an awe-inspiring experience for you. Part of being a person is about helping others.. I must tell myself to get involved! Just give community service a chance. You might stumble onto something you're really passionate about. And that's worth everything. Just give it a chance. @Samby- Thanks, Sure soon the next will follow... It is Shivamoga in Kannada and in English they pronounce-Shimoga; I choose the real name. Good to know about you, Samby. Well, but i am not a passout from VTU, I was on the last batch from Mangalore university. I think, i can very well relate to your state of mind with this whole confusion to choose between - Interest and the society set expectations.But i am sure you will stike a balance between to two one day, just like i did. It is possible to be part of your interest even though technically you may not be considered in. @Backpacker- Sure, you are most welcome. This experience has been a treat indeed. @Di.di -You are very correct. I am starting in a small way, but in my heart i crave to do more, some day. May be we all like minded, can form a group. Inspiring story of Ravi and his wife there. You could have named her too. I liked the temple photo particularly because of the angle of shot. Do you think the Nandi idol really grows? Easily I agree but I think the post should secure more info then it has.